Seeping spices of cinnamon, anise and clove are blended with warm, juicy black tea to fashion this heart-warming fragrance. I love all the Good Earth products, and this candle is no exception! Even unlit, its beautiful, earthy colors invite a relaxed mood. 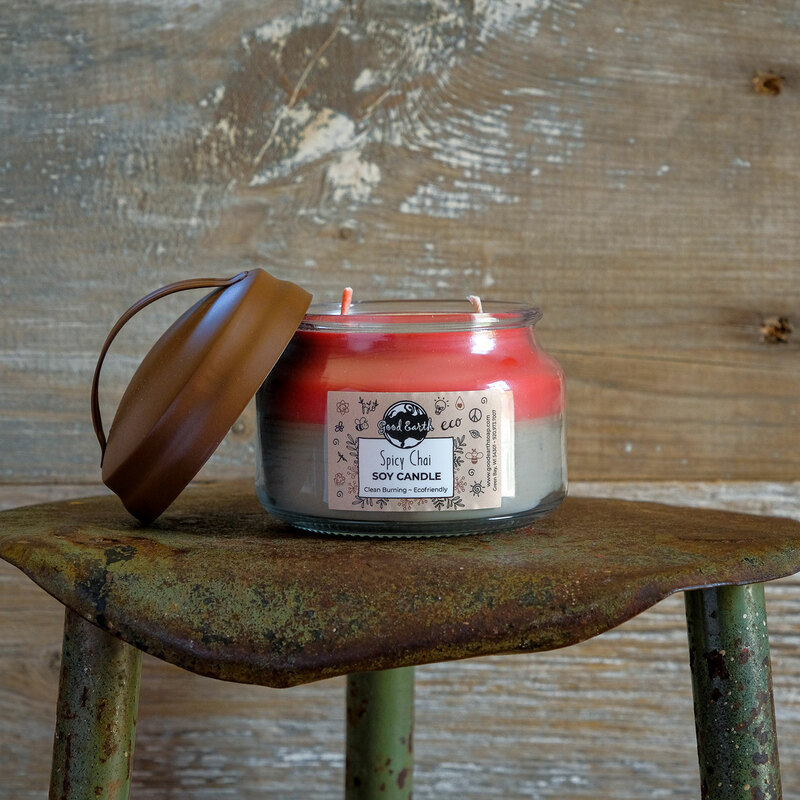 Light it, and enjoy its spicy aroma, including delicious cloves. I keep it on my kitchen stove and drive my family crazy thinking desserts on the way! Seriously, though, this candle burns for hours and days, and it is well worth its cost. With a social conscience as their foundation, Tracy and Michael make simply superb products.